Next week, 11 USAID-supported innovators will join a delegation from the U.S. Global Development Lab in San Francisco at the 7th annual Social Capital Markets Conference (SOCAP). This diverse group of innovators includes, among others, a National Geographic Emerging Explorer, the founder of a Sikh civil rights organization, a computer engineer, a Burmese-American lawyer, and the author of a book about a road trip from Maputo to Tunis. Joining 2,000 fellow entrepreneurs, investors, philanthropists and venture capitalists at SOCAP — the largest annual gathering on impact investing in the world — these innovators will discuss their successes, celebrate their failures and engage with their peers and mentors on how their businesses can deliver financial returns while serving the needs of vulnerable communities. Most importantly, they will seek to connect with potential impact investors and attract capital in what is considered to be a $1 trillion market opportunity. Events like SOCAP address one of impact investing’s primary challenges: capital to incubate innovators often isn’t available for early-stage entrepreneurs in developing countries. USAID has an important role to play here. By providing a limited amount of public capital through initiatives like the Development Innovation Ventures fund, the LAUNCH open innovation platform and the “Priming the Pump” Global Development Alliance (GDA) with Echoing Green, we can develop a pipeline of investment-ready social enterprises that can then attract private capital and scale. The problem: Thirty million African migrants send $60 billion back home annually. Africans pay the highest charges for money transfers in the world, costing them billions. The solution: Senegalese company Niokobok is an online retailer offering food and goods such as solar lanterns for delivery in Senegal. The company bypasses high transfer charges by giving Senegalese abroad the opportunity to order essential goods for their relatives rather than send cash directly. McKinsey estimates the African online retail market will be worth $75 billion by 2025. The problem: A data-deprived health sector in Burma. The solution: Koe-Koe, in Yangon, creates software for hospitals, labs, and government and has created a mobile health app for the general population. Koe-Koe’s software has been installed at several major Burmese health institutions. The company’s goal is to develop a nationwide health information exchange where health information can be shared between health institutions. 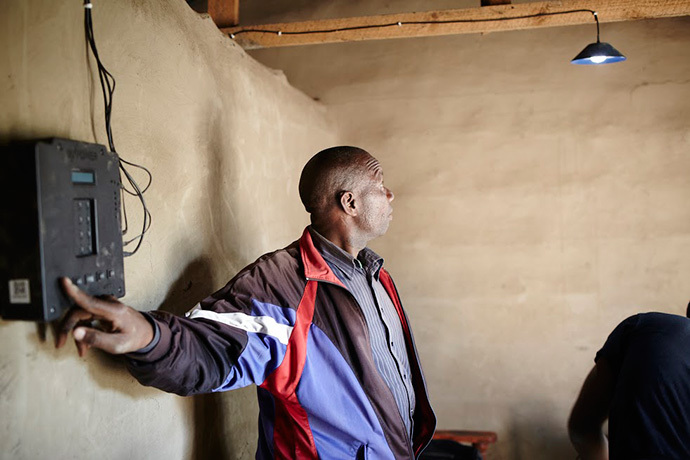 The problem: 85 percent of Tanzanian households operate without electricity. 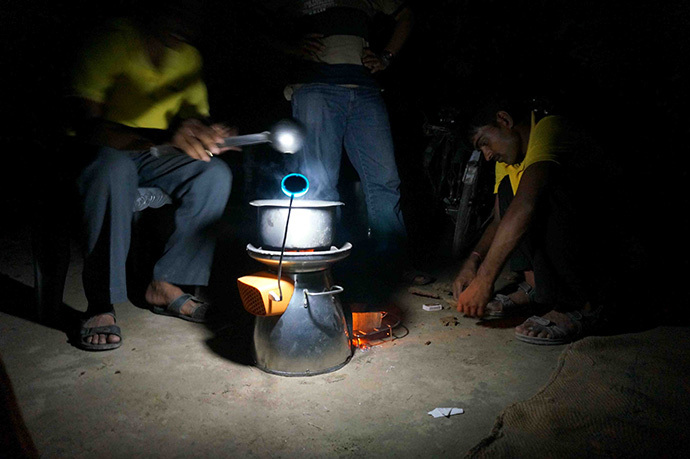 The alternative, kerosene, is costly and dangerous, and solar devices are often cost-prohibitive. The solution: Tanzanian-based start-up Off.Grid:Electric realized they could approach solar lights as telecom companies do cell phones: as services, not as products. With this unique approach, Off.Grid has connected 12,800 homes to energy over the past year and attracted investment for expansion. The problem: Low-quality teaching and absenteeism in India are major obstacles to improving student performance. The solution: Pixatel’s business model is based on evidence that computer-based learning is effective in supplementing varying teacher quality and responsive to student needs. The company created an adaptive, tablet-based learning platform that tailors content to each student. Teachers and administrators are provided with visibility into individual student performance as well as reports at a class and school level. The problem: Many Ugandans cook food over wood or charcoal fires, causing chronic illness and death from smoke as well as deforestation. The solution: Ugandan firm Eco-Fuel Africa combined a unique business model with simple, low tech machines to convert agricultural waste into clean cooking fuel briquettes, which are sold as healthier cooking alternatives. The briquettes burn cleaner and longer and are cheaper than charcoal from wood. Over 10,000 Ugandan households are now using Eco-Fuel’s briquettes. The problem: Contact with human waste in Kenyan slums is a leading cause of diarrheal disease, resulting in thousands of deaths each year. The solution: Nairobi-based Sanergy collects and recycles human waste into organic fertilizer, which is sold to the region’s commercial farmers. The company serves 18,000 Nairobi residents with hygienic sanitation daily. The problem: Women in remote regions of the Andes often spend eight hours a day herding a flock of sheep, yet make just $120 a year. Overgrazing by livestock is the primary cause of environmental degradation in these areas. The solution: The Stromme Foundation uses a technique called Hydroponic Green Forage (HGF), which allows Andean region residents to grow grass at home. The technique uses less water and produces higher yields than other methods. It also saves time, allowing residents to engage in other, income generating activities. The problem: In Bangladesh, 20 percent of deaths are due to arsenic in the water supply. The solution: Bangladesh-based DrinkWell’s filtration technology delivers 60 times as much water, is 17 times more efficient, and reduces waste by seven times compared with existing solutions. DrinkWell uses a local franchise model, creating jobs and income. The problem: In Peru, 6.7 million people don’t have access to electricity. The solution: Buen Power Peru provides affordable, renewable solar lighting products to rural communities through unique distribution channels including rural teachers and radio station distribution hubs. The problem: Cooking on open fires results in 4 million premature deaths each year and contributes to climate change. The solution: BioLite has created a low-cost biomass Homestove that, by converting waste heat into electricity, reduces smoke emissions by 90 percent, reduces fuel consumption by half, and delivers electricity to recharge mobile phones and provide an evening’s worth of light. The problem: Ninety‐four percent of the Haitian population relies on charcoal and wood as a primary source of energy, resulting in health problems and deforestation. The solution: Carbon Roots International has been refining “char” technology, which converts biomass-like agricultural waste into cleaner cooking fuel as well as an alternative to fertilizer. Jill Boezwinkle is a Senior Program Manager in the Office of Development Innovation Ventures, U.S. Global Development Lab.